What about having a utility that zips and emails your project folder content? I agree that the source control tools provides backup. But this utility can be used to easily take the backup of your private projects at home. The project folder usually contains many other folders and with different file extensions. 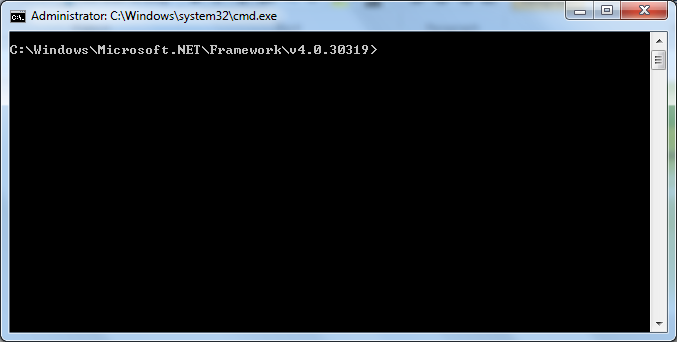 The .Net inbuilt zipping library can be used to compress a file. But not the entire file/folder structure like winzip. There are multiple choces for creating zip files like using J#/ZipPackage/Third Party/DotNetZip framework. 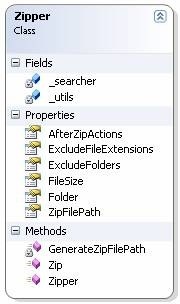 My chosen solution to zip entire folder content can be the use of DotNetZip which is an open source library for zipping. 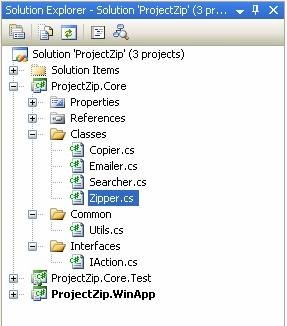 There are numerous examples available in the DotNetZip download, but we trying to create a utility that will do zipping and emailing of the given folder. This project should be extensible too. The development of the project was gone through Test Driven Development. You can examine the unit tests generated. 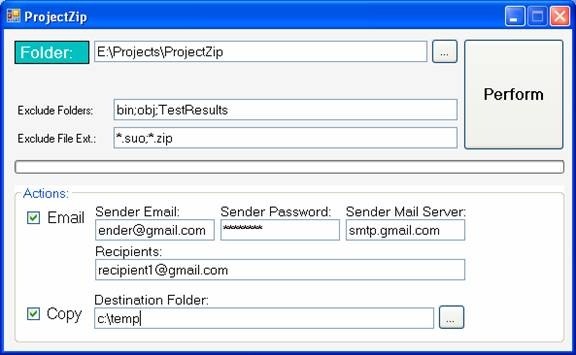 Performs the actions on zip file like Email, Copy etc. The DotNetZip’s ZipFile class is used to do the zipping operation. The associated dll can be found in the project’s Library folder. The Zipper class is designed in such a way that in future the developer wanted to add a new action – it can be easily incorporated. For this purpose the IAction interface is used. The interface contains the Perform() method. The IAction interface is implemented by the Emailer and Copier classes. So in future a new action is required, we can create the new class implementing the IAction interface and add to the AfterZipActions list property of the Zipper class. As gmail is supporting smtp service, if the user is having a gmail account it would be really easier. Anyway other mail services are also supported as the mail parameters can be changed over the screen. The changes will be saved to config file back when the application exits. The config file contains default values which can be overridden by the end user. 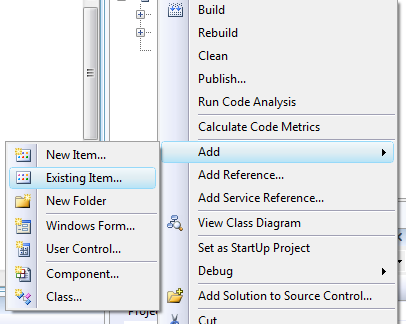 The recommended usage of the utility is to add to the Visual Studio Tools>External Tools menu. This would be lot easier in zipping the project while after development. 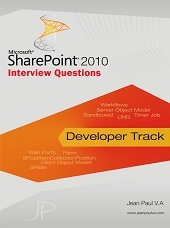 Suppose you are working on an application – which needs to extract another application on runtime. How to achieve the same? For convenience I am using the registry editor utility of windows. Now you can see the file added to solution explorer. 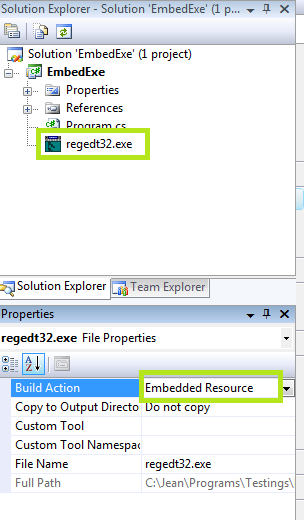 Choose the properties of file and change the Build Action property to Embedded Resource. Now build your project – if successful you are ready with an exe embedded. 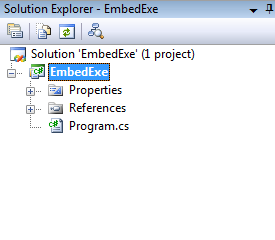 Now our goal is to save the embedded exe in runtime to the same application folder. 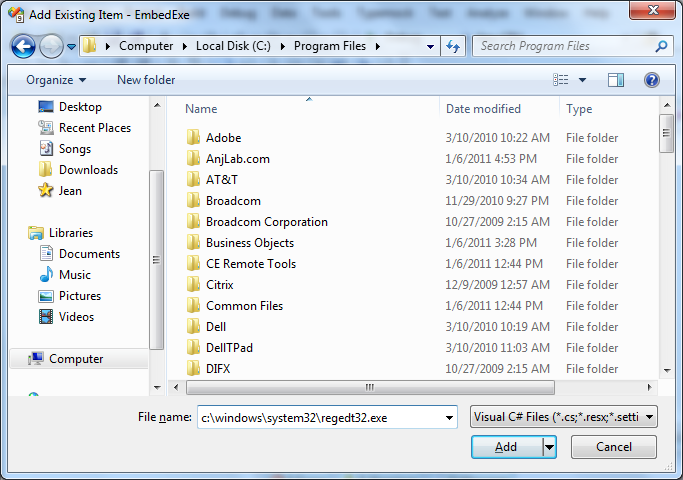 For achieving this we have to first get the embedded name of the exe file. 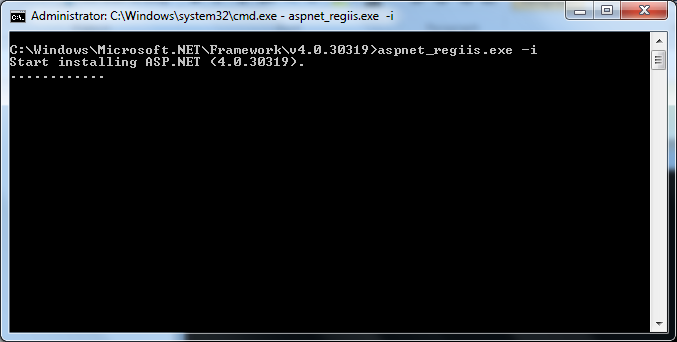 The embedded name of the resource file would be in the format ApplicationNameSpace.ResourceName. to get all the resource names in the assembly. In this final step we are retrieving the bytes of assembly and saving into a file stream. For this we are using Stream, FileStream classes. 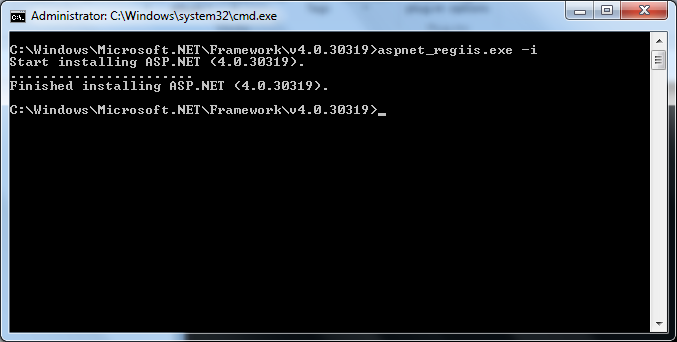 If you are working in old version of IIS, you may not find the latest application pools for .Net 4.0. 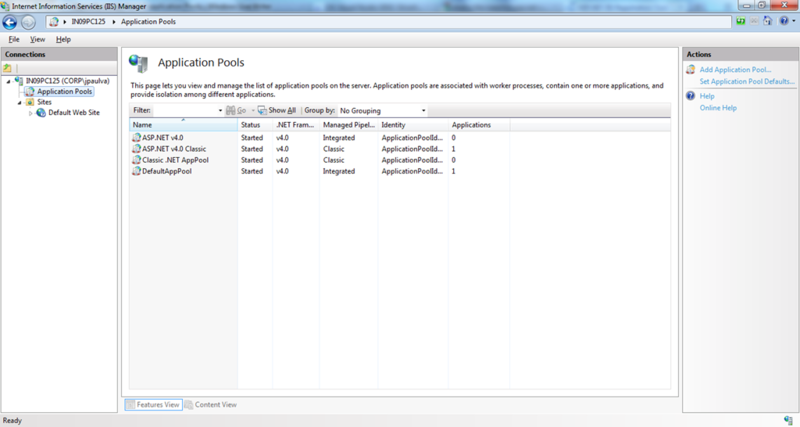 This small article provides to install the missing .Net 4.0 application pools. How to edit app.config file? The application configuration file provides flexibility in reading application settings. But once in a while it is needed to change the settings programmatically. We can see how it is made possible. Create a new windows forms application and add a config file into it. For editing an existing appSettings key – we have deleted and added the key. 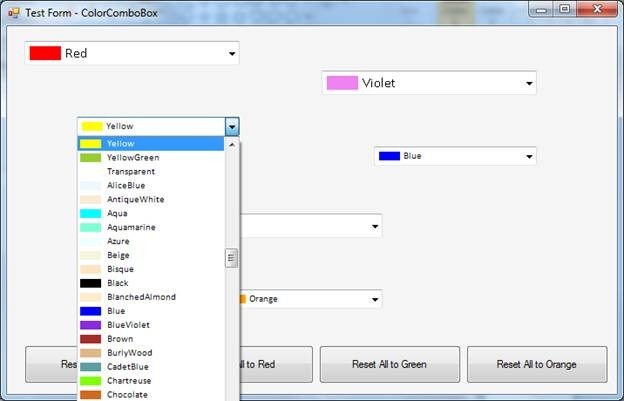 In this short article, I am trying to create a ColorComboBox control which allows the user to select colors from System.Drawing.Color struct. From Mahesh Chand’s color code snippet, I was inspired about the idea of listing color using reflection. So I thought it would be good if we can convert the code into a control. The article is been subdivided into creating the custom combobox class and implementing the draw events. For this, we have to create a new class and change the base class to ComboBox. We need to modify the constructor to fill the ComboBox with colors and change the draw mode. For loading the combobox with color items, we need to use .Net Reflection. Following is the code to get all Color properties from struct Color. For reduction of code I have used Lambda Expressions. Basically the code will iterate through all the properties which are static and public, then the Where() method will filter them by type of Color. The Select() method converts the PropetyInfo to Color object using c.GetValue() method. Now we are good with the entire color items in the list. The next challenge is to display the item with the actual color filled in a rectangle and showing the color name next to it. For this we have to override the OnDrawItem method of combobox. Whenever the ComboBox item is painted the above OnDrawItem() method will be called. We basically checks whether the e.Index >= 0 to ensure there is a valid item in the list and do the custom drawing. The drawing is divided into 3 steps. Now we need to add a new property to get/set the selected color. The above get code will return the selected color by converting selected item into Color struct. The set code will allow us to set the selected color by taking the set value and iterating through the items in the combobox. The attachment contains the ColorComboBox as well as the test form. For reusing the control, one may take the ColorComboBox file alone and can be integrated to other projects. What is Host Header and how to configure it? Host Header is a third piece of information to identify a web site. We can configure host header in IIS using inetmgr application. After configuration we need to publish the host header in the WINS (Windows Name Service) or DNS (Domain Name Service) depending on the site is an intranet or internet site. Once in a while it is needed that we need to serialize a particular object and zip it. Here I am combining both the operations into one method. The associated unit tests are also provided.